Israel soon to ban "the most damaging environmental pollutant of the cold war”—Will the U.S. follow suit? While it might seem downright miraculous to Americans that a country would completely refuse water fluoridation, truth be told, widespread use of the toxin rarely happens internationally. The United States is one of only seven nations that fluoridates more than 50 percent of its total water supply (Ireland, Malaysia, Australia, Colombia, New Zealand and Singapore are the other six). Canada just slips under the radar at 40 percent. Asia and a majority of the European Union have rejected the practice, and for good reason. Christopher Bryson, author of "The Fluoride Deception," classifies fluoride as "the most damaging environmental pollutant of the cold war." "Zealous fluoridation promoters try to convince the American public that 'everyone drinks fluoridated water.' But the opposite is true. An overwhelming number of countries do not fluoridate, including 97% of the European population. In fact, over half the people in the world drinking fluoridated water live in the US. We are the odd ones out. Fluoridation is an outdated, unscientific, failed public health blunder. What I find remarkable here is that Health Minister German has been able to escape the unscientific belief system on fluoridation that traps so many public health bureaucracies in fluoridated countries." If you happen to live in a country that fluoridates its municipal water supply, don't despair. Several reliable methods help shield against exposure and subsequent health consequences. In order to avoid fluoride toxicity, you must filter your drinking, cooking and bathing water using reverse osmosis. Unfortunately, most water filtration systems are not equipped to remove the toxin - make sure your model will specifically filter fluoride. Using spring or well water is another option, as long as the source is protected from agricultural and fracking contaminants. Once you have minimized exposure, it's necessary to detoxify fluoride already present in the body. Infrared saunas are exceptional at not only removing fluoride, but also heavy metals. Likewise, consuming lemon water throughout the day flushes the liver, furthering detoxification. Herbs such as milk thistle and tamarind are extremely helpful too. An animal study from the Indian Veterinary Research Institute discovered that tamarind fruit significantly reduced fluoride concentrations in bone and blood while enhancing urinary excretion. 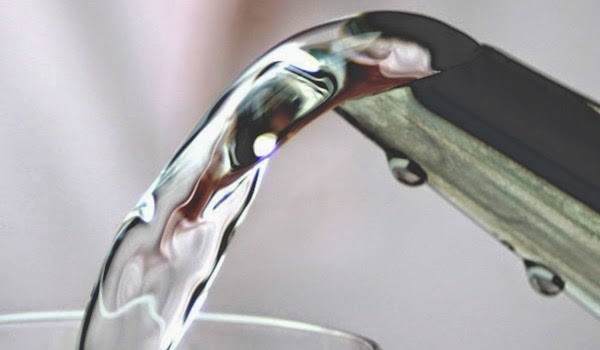 Additionally, selenium in moderate doses has been found to decrease fluoride within the tissues, although researchers warn against high levels as it can encourage a synergistic toxicity. Consuming food-based sources, such as one or two Brazil nuts each day, ensures selenium is metabolized within safe parameters. Of course, water supplies free of fluoride are ideal. The Fluoride Action Network provides comprehensive information about health dangers as well as seven concrete actions you can take to end water fluoridation in your community. Learn more here.